William Kamkwamba was a 2007 TED Global Fellow and a finalist for the Tech Museum Award. He is a student at Dartmouth College in Hanover, New Hampshire. Bryan Mealer is the author of All Things Must Fight to Live: Stories of War and Deliverance in Congo. He is a former Associated Press staff correspondent and his work has appeared in several magazines, including Harper's and Esquire. He lives in Brooklyn, New York. 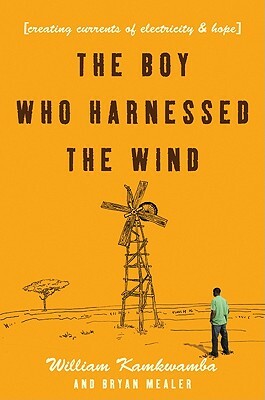 “I was moved first to laughter, and then to tears by William’s explanation of how he turned some PVC pipe, a broken bicycle and some long wooden poles into a machine capable of generating sufficient current to power lights and a radio in his parents’ house.